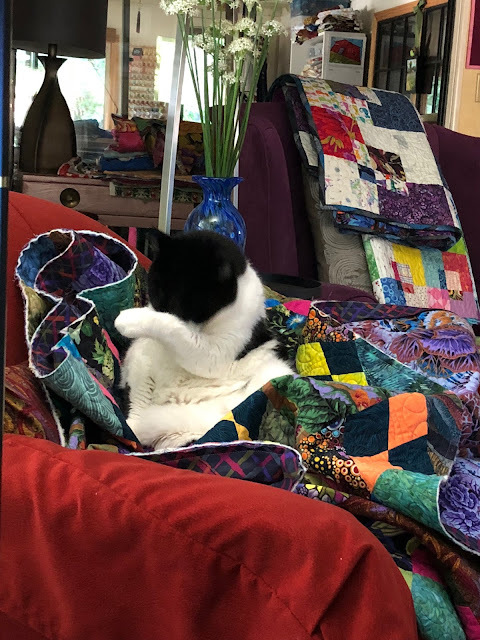 Millie - that looks like a particularly large quilt you need to work on. Take it slowly but surely, and I'm sure that you'll do an outstanding job on it. 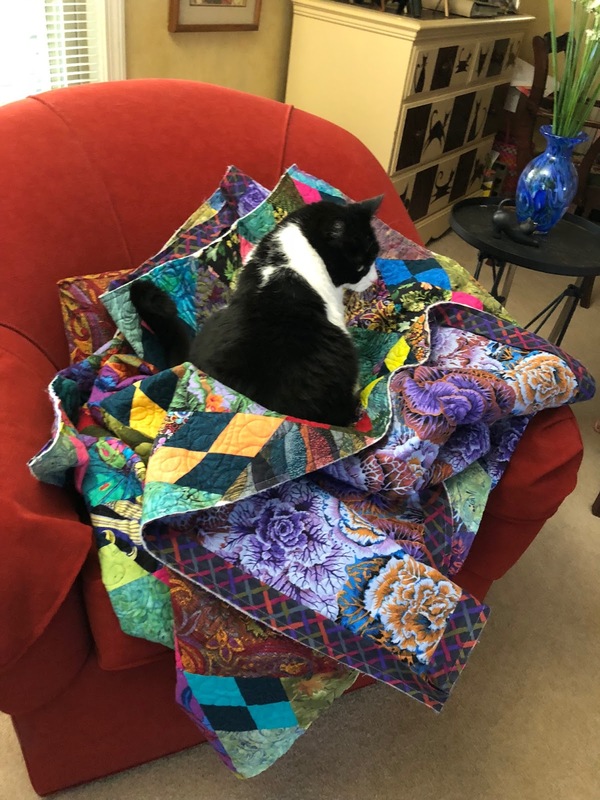 Well done Millie, you're keeping the quilt warm until Mom is ready to hand stitch down the binding! Sending care and huggles to you and Mom, Michelle in Wellington, New Zealand. 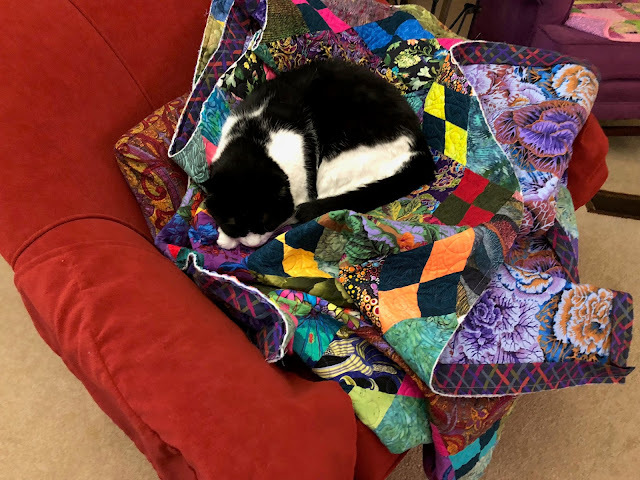 Millie you look beautiful on your Mum's beautiful quilt. 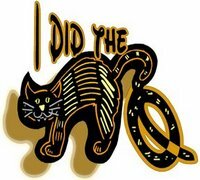 I am pleased you have got help dealing with the micies and mouseys, after all, you are now a senior cat, not a young and over active kitten any more. You are looking wonderful Miss Millie -- happy to hear that you'll have assistance on the mouse front. It's been a long time since we've seen one of your posts in our Bloglovin emails. Good to see you again, Millie. We hope you and your mom are doing well. Looks like you are doing a great job. Our job here is checking the quality of the catnip when Bob makes nip pillows. Every once in a while we get a freshly made pillow to check too. Hi Millie, nice to see you again. Keep up the good work on inspecting and ask mom to post once every two weeks. I miss you. Good to see you Millie! Good too, that you have a lovely quilt for your nap.